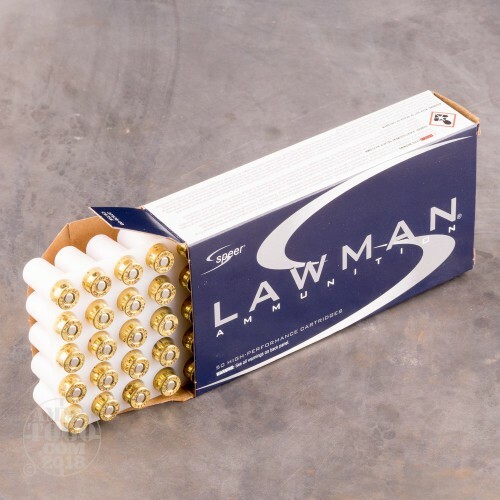 Speer Lawman ammunition offers realistic target training for users of Gold Dot hollow points, producing the same ballistics and recoil as the defensive load for a fraction of the price. 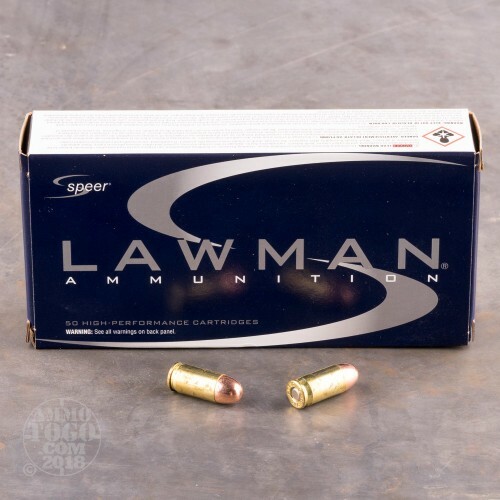 This 1,000 round case of .380 ACP is perfect for high volume practice with popular carry handguns such as the Ruger LCP, Glock 43, and Sig P238. 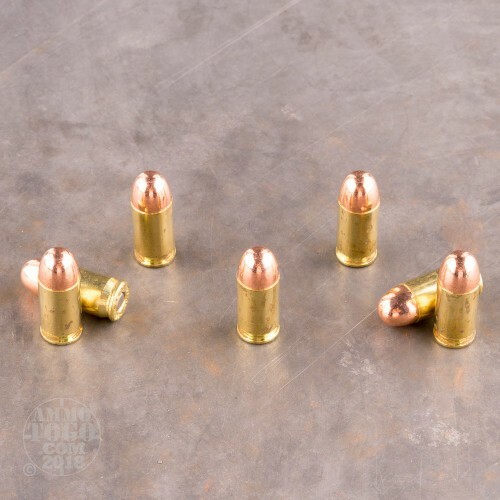 Buying in bulk will also give you a great round for many IDPA Back-Up Gun matches. Each cartridge is crowned with a 95 grain Total Metal Jacket (TMJ) projectile. 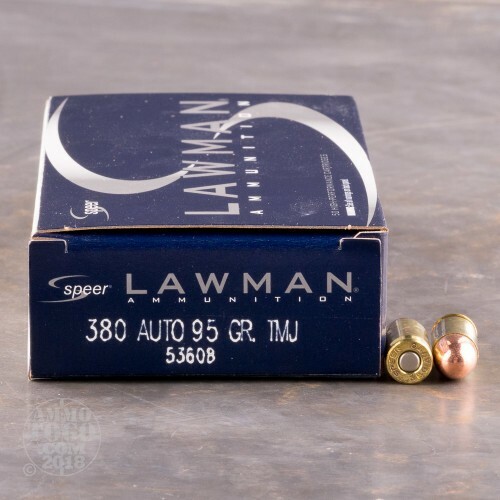 This type of jacket completely encapsulates the bullet and significantly reduces lead fouling in the pistol as well as lead exposure to the shooter; that means you'll spend less time cleaning your favorite .380 Auto and walk out of indoor ranges in much healthier shape.